Eating a diet high in lean protein and complex carbohydrates is a healthy way to reap beneficial amino acids and antioxidants. Complex carbs provide us with a gradual steady stream of energy throughout the day as well as a hefty dose of fiber. Complex carbs are found in whole grain forms such as breads, oats and brown rice, as well as starchy vegetables and fruit; they are loaded with nutrients, slowly digested and combat hunger pangs by making you feel full for longer. 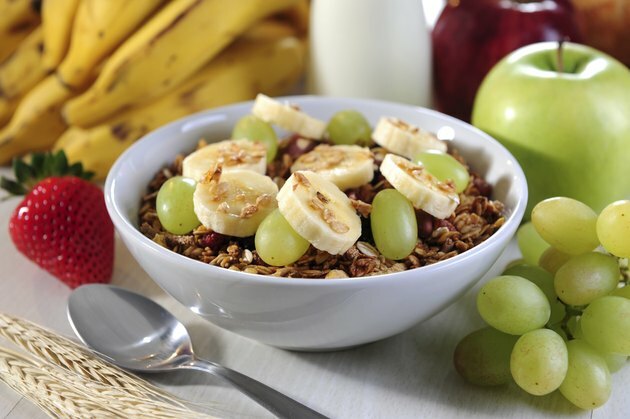 Start your morning with a breakfast cereal made from whole grains. All grains can easily be made into a tasty porridge that will fill you up and give you a protein boost. Simply prepare each grain as you would oatmeal and serve warm with Greek yogurt, slivered almonds and a sliced banana to reap a hefty dose of protein and complex carbs for breakfast. 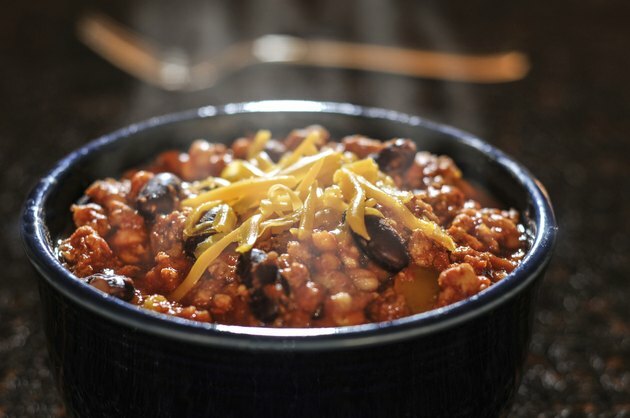 Prepare a protein-rich lunch of hearty chili and serve along with a piece of whole-grain bread topped with fresh chutney. Look for easy protein options such as beans and grilled chicken to toss into your chili or a stir-fry with brown rice. Create burritos with chili leftovers wrapped in a whole-grain tortilla with salsa and vegetables. 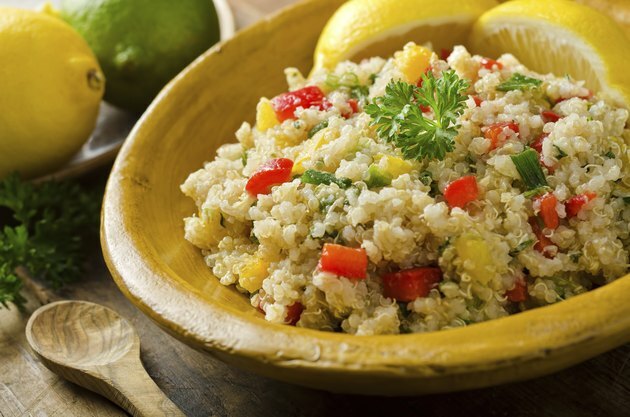 Skip the white pasta for dinner and try a distinctive, protein-rich grain such as buckwheat or quinoa. Toss tofu with whole grain pasta and finish with tomato sauce and pesto made from Parmesan cheese, olive oil and pine nuts. Whole-grain spaghetti with shrimp, soup with hearty grain breads and whole-wheat vegetable pizzas are other great choices. Create a protein-packed dessert such as a trail mix with dark chocolate, nuts and seeds. Buff up your whole-grain zucchini bread and carrot cake with pureed beans, nut butters, seeds and pureed fruit, which is a sure way add a healthy dose of complex carbs. Shop the outer perimeter of the food store and steer clear of packaged, processed simple carbohydrate products. Along the perimeter, you will encounter fresh fruits, vegetables, whole grains and lean protein sources. Many grains can be purchased at your local grocery store and are sold in large bulk bins that let you portion out exactly how much you need. Barley and rice are tasty complex carbs that you can easily prep as a side dish with protein-rich tofu. When eating complex carbs, choose sources as close to the main source as possible without refining or processing such as whole grains, fruits, vegetables and legumes. Eating a natural diet based on healthy carbs and lean protein will provide you with a stable supply of energy throughout your day as well as fight off illness. Your plan for consuming foods high in protein and complex carbs will determine which foods you purchase. 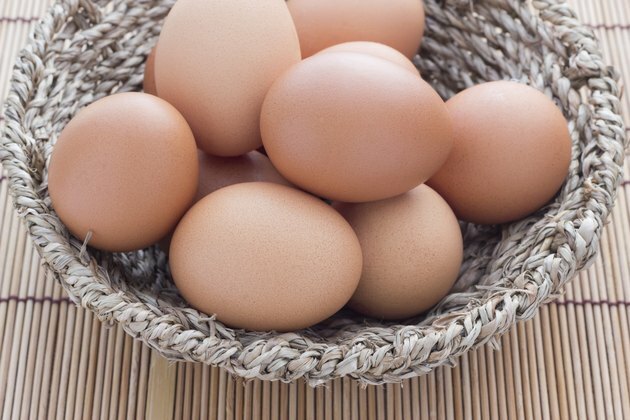 For instance, lean proteins such as eggs, fish, poultry, beans, nuts and seeds, dairy and lean meats make a tasty base for your meal and can be jazzed up with a vast array of complex carbs such as fruits and vegetables. Eliminate sugary foods and sweets. Focus on healthy, lean choices of protein and fats such as nuts, seeds, nut butters, olives and oils. Drink at least eight 8-ounce glasses of water each day to avoid dehydration and to keep the high fiber of the complex carbs moving throughout your system. Shopping for a high protein, complex carb meal can be easy and enjoyable. Get creative in your kitchen and enjoy a midday lunch of legumes such as dried peas, beans and lentils atop a bed of starchy vegetables such as sweet potatoes, corn and sweet peas. A snack of fruit, especially with the skins and edible seeds are a sure way to reap the fiber benefits of a high complex carb diet. 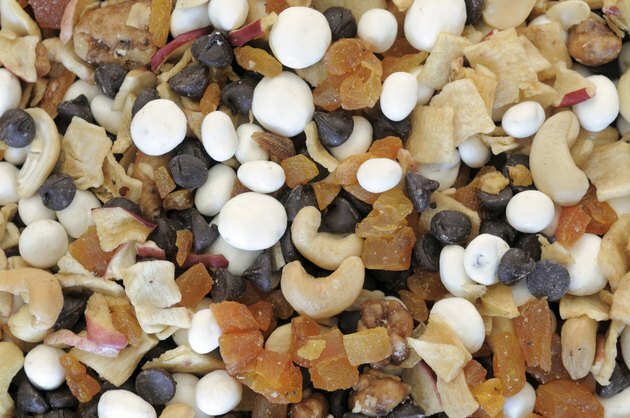 Nuts and seeds combined with dried fruit make a tasty trail mix for your protein-packed afternoon snack. Beware of the low-carb hype as carbs should be the major source of energy for your body.